That look of fear/confusion when starting the diet – ha ha! A little while after learning about the low-FODMAP diet I wrote the below, ’10 Things FODMAPers Can Relate To’. In case you missed it, and because the FODMAP diet is receiving more and more awareness all the time, I thought I’d share it once again. 1. Starting out on the diet, looking at the list of ‘no’ foods and wondering what on earth you CAN eat. *Or instead using the Monash University Low-FODMAP App, which makes life easy! 3. 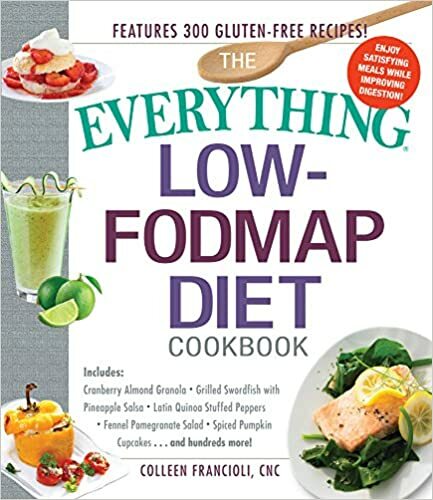 Proudly producing a meal to others and saying “it’s low-FODMAP you know” – only to receive blank/”yeah, so what?” expressions. 4. Being asked what FODMAP stands for umpteen times, and responding with…”errr really long and complicated words – to do with fibres”. 5. Going to a restaurant and looking for the meal with least FODMAPs, only to end up opting for the meal with the most…somehow. 6. Be impressed by the ‘free-from’ aisle in the supermarket, only to realise that a large proportion of the gluten-free foods still contain bloomin’ FODMAPS – ARRRRRR! 7. Going for an all you can eat knowing full well you will regret it and not caring one bit (until afterwards…). 9. Becoming a food-version of ‘Mr/Ms Gadget’ carrying around weird and wonderful foods with you ‘just in case’.